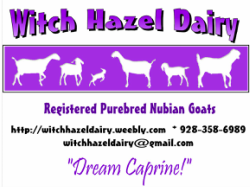 This page is to record the presentations that we have done with our 4H groups, on goats. All of the presentations I have done so far are on here, except one that was on Clicker Training Goats. It was purely a physical presentation and I never wrote anything down about it, it was oral and example. What is a 4H Presentation? Each year, in order to complete my 4H year, I have to prepare a presentation that somehow is related to one of my projects and give it to the group. I do have other groups besides goat so not all of my presentations are posted, only the goat-related ones. I will add presentations as I give them each year, so check back occasionally! Comments and Critics are welcome in the What do you think? page.